This is an exciting week. My latest book released yesterday!!! 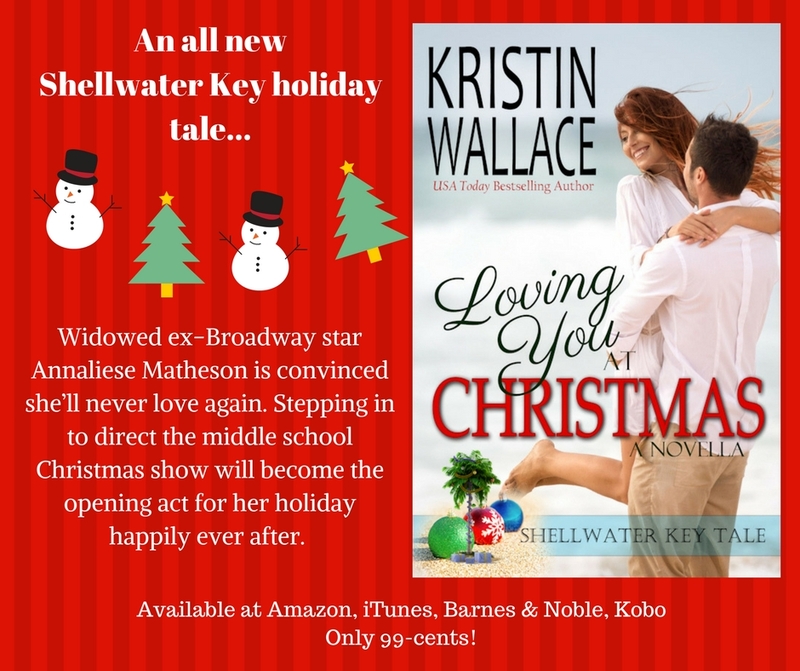 Loving You At Christmas, my book from Sweet Christmas Kisses 4 debuted as a single title. It’s fitting that my Shellwater Key Tales series centers around the Paradise Dinner Theatre because I am taking part in a dinner theatre show this week. Our Opening Night is Thursday. The play is called ‘How Does A Thing Like That Get Started?’ It’s set in the park of a small town in the 1950s. Basically, the story is about how gossip spreads and the story changes with each successive telling. takes it in a totally different direction from where the rumor started. Tonight was our second dress rehearsal. It’s the first time we’re working on an actual stage and wearing costumes. There’s something about wearing the costume that makes a big difference in a performance. The character comes alive and feels more real somehow. One of the "challenges" for this play is that I actually need to look older. This means a couple different rounds of makeup. First, I have to do the "aging" part with contour and highlight, plus spraying white in my hair. Then I have to add actual makeup-makeup because my character would absolutely not go out without having her face done. I have to remember the techniques I learned in my old college stage makeup class. Sadly, it's not as hard to "age" myself as it was at 20-yrs-old, and the (me in 10 years) results are pretty unsettling. I tried to get a good picture, but none really captured what it looked like live. So fun, Kristin! I love live theater! And best wishes on your newest release! Kristin, I love your "Beulah" expression in the first selfie with your pink phone in the mirror. I've never seen you without a smile!